Surprise, surprise; fatty liver disease is associated with a poor Western diet. That’s not a revelation, but Immuron has an interesting take on exactly how a high fat and high sugar diet help drive the inflammation behind NASH. With such solid blockbuster potential, startups and Big Pharma are pouring into the field. Immuron is taking a somewhat radical approach. Its investigational NASH drug called IMM-124E targets bacteria as a key driver of liver inflammation. The formulation is manufactured from bovine colostrum, explained CEO Thomas Liquard in a recent phone interview. “We’re basically able to engineer colostrum to produce a specific set of antibodies that we can use to target just about any bacteria in the gut, without affecting the rest of the microbiota,” he said. Headquartered in Melbourne, Australia, Immuron’s proof-of-concept is an over-the-counter product called Travelan, available in the United States, Canada, and a handful of other countries. Based on a small placebo-controlled trial, Travelan prevented new cases of travelers’ diarrhea with 90 percent efficacy, Liquard said. It does this by targeting E. coli, the bacteria responsible for a majority of cases. The company moved on to two clinical applications: Clostridium difficile (c. diff) infections and NASH, which is now in Phase 2 trials. IMM-124E is an interesting take on NASH. It accepts that a major contributing factor is the poor quality of the Western diet — but it’s not the long-term build-up of fat that does the damage. “The high levels of sugar and fat in our diet, especially glucose, creates an overgrowth of Gram-negative bacteria in the gut,” Liquard explained. Not all Gram-negative bacteria are bad, he noted. They do, however, all share a common feature known as a lipopolysaccharide (LPS) receptor. According to Liquard, when the bacteria dies or sheds, pro-inflammatory byproducts of LPS enter the bloodstream. “LPS is not the pathway per se, it’s a trigger of inflammation,” he said. It causes injury, which leads to the development of NASH. Because the liver is right next to the intestines and stomach, it takes the biggest hit when the gut bacteria shed LPS into the bloodstream. By targeting certain Gram-negative bacteria, IMM-124E is designed to prevent the overflow of LPS into the liver. There are a number of benefits to this approach. With its novel mechanism, IMM-124E would likely pair well with any future NASH therapies — or drugs for the many comorbidities found in this patient population, such as heart disease and metabolic syndrome. 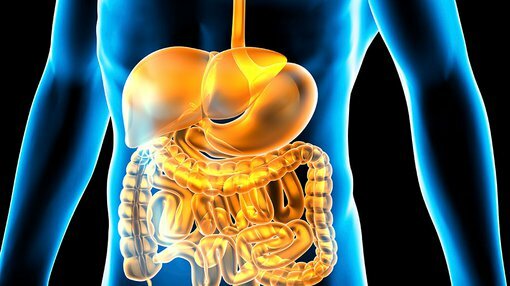 Targeting the Gram-negative gut bacteria could also cut down on LPS-driven inflammation and damage in other organs such as the pancreas, which Liquard said was demonstrated in the Phase 1 trial. There also seems to be some sort of feed-forward effect beyond the LPS suppression as the body gets a handle on the inflammation. A microbiota approach also has the ability to treat a wide range of patients. That differs from any other companies, he said, which target specific pathways that may only apply to a subset of patients. With a lack of biomarkers, it’s hard to know who to treat. The challenge of treating a sick population is also front of mind for the FDA. Any potential therapies need to be suitable for chronic use in patients with obesity-related comorbidities. An investigational NASH drug from Intercept Pharmaceuticals, for example, appears to increase LDL-cholesterol levels, a major concern in this patient population. For Immuron, the broad applicability of IMM-124E may pose a novel hurdle. Where to start? Editor’s note: Immuron (ASX:IMC) represents a speculative investment and those considering this stock for their portfolio should seek professional financial advice before making a decision.